Why You Need This: Speedometer acting funny? The Speedometer cable is a prime suspect. 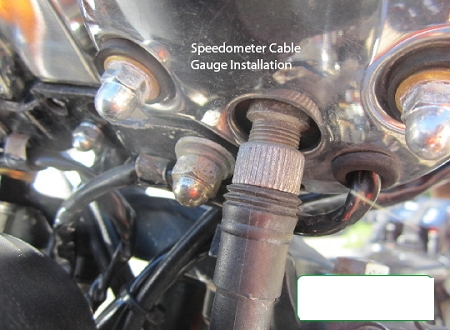 The speedometer is driven by this cable from the front wheel, over the years they the ends break off, cable unravels or they get a kink in them. Any of these factors can contribute to the actual speedometer not working correctly. 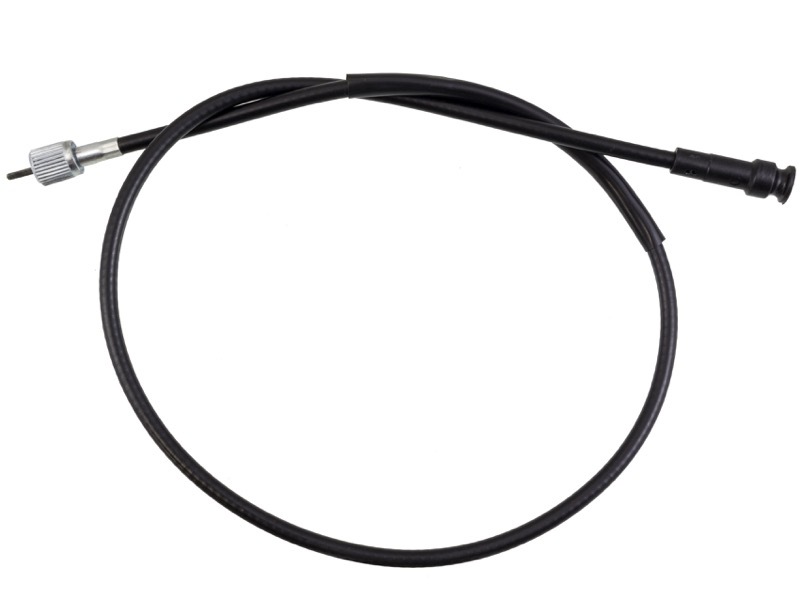 Honda uses the same speedo cable for the CB350 / CB360 / CB450 / CB500T / CB550 family of bikes, so yes it fits. However, if you've got a 450 with a front drum brake (Black Bomber CB450K0, CB450K1 & K2, and all CL450 Scrambler variants) you'll need this one instead. Installation Tip: Make sure each end of the cable is properly seated and add a dab of light grease at either end. The screw on the front wheel cable drive end must be completely removed before the cable will pull out of the housing. Works, looks good. My Speedo hasn't worked since my less-daring days, when I'd take my CB450K to a random motorcycle shop here and there. Get it. It tells you how fast you go! 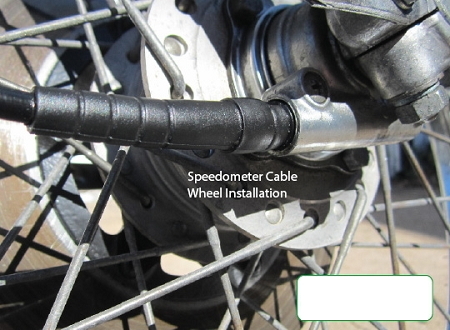 This is a great replacement for your old worn out, barely functioning speedometer cable. Swapped all my cables for black and they look great. Replaced all my control cables on my CB350 including this one. They all work and fit just like the originals. Perfect! This cable is good quality and looks great! I had swapped all the other cables on the bike, so the ugly gray speedometer cable was the last one to get swapped. This cable is about 4-5" longer than the original cable for some reason, which makes routing somewhat awkward, and leaves you with a big loop of cable that will have to be secured somehow. I wish that the cable was closer to the stock length for appearances, but it seems like it will do the job fine.